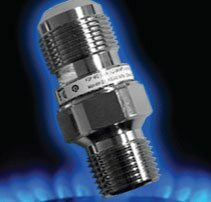 It is now possible to protect your home’s gas piping system from gas line rupture or disconnection by installing AutoTrip® Excess Flow Valves in front of each appliance. These valves are designed to activate and shut down gas flow to a non-hazardous level (bypass flow) to avoid the possible dangerous release of gas into the home. 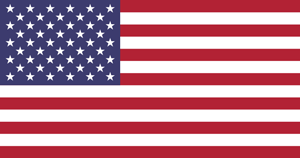 Excess Flow Valves (EFV) are now required by many jurisdictions to protect against hazardous release of fuel gas due to a seismic event, accident or any other situation that could lead to a catastrophic failure of gas piping system components. Insurance companies have also recognized the protection afforded to the homeowner and his family through the installation of these simple but effective safety valves. AutoTrip® Excess Flow Valves are activated by the unrestricted flow of gas, resulting from a gas line rupture. This flow causes the valve to trip (shut down). The bypass flow feature restricts the gas flow to a safe level upon valve activation. Bypass flow provides automatic reset capability once the downstream gas piping has been repaired. AutoTrip® Appliance Connector (AFD) Excess Flow Valves are designed to be positioned ahead of (upstream from) the flexible appliance connector. 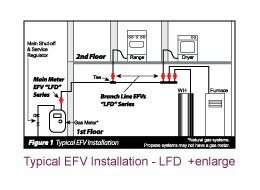 Full protection requires one EFV for each appliance branch line. 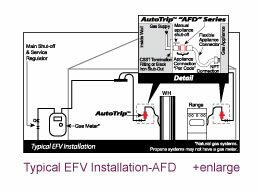 AutoTrip® Appliance Connector EFVs utilize a spring-activated float valve and are not gravity dependent. This permits their mounting in any position horizontally or vertically (multi-poise). AutoTrip® Meter (LFD) Excess Flow Valves are designed to be positioned after (downstream from) the gas meter. In this location, the valve is designed to protect against a catastrophic failure of the main trunk line. In order to protect the smaller downstream branch lines, the smaller LFD branch line valves (-70 and -125) may be positioned within a branch line serving one or more appliances. Excess Flow Valves are gravity dependent and must be installed in the vertical position (within 5 degrees).